1) The cost of a laser is very high. Companies either lease or purchase their laser, and sometimes with a loan. Imagine the technology that goes into a laser! This is not a simple machine with a knife inside….it’s a laser! Some lasers are comparable to the cost of a car. 2) The cost of electricity to run a machine can be high. 3) The time it takes to cut or engrave a design with a laser varies greatly depending on the amount of detail in the design, the size of the design, and the type of material that is being used. Time is money. 4) The cost of materials used is always factored into the price (you can imagine that certain types of paper are more expensive than others, such as metallic papers are more expensive than plain white papers). All of these factors determine the final cost of cutting and/or engraving items on our laser. We try to keep our prices low as compared to our competitors in the United States, and we feel if you did your research you would find this to be true. 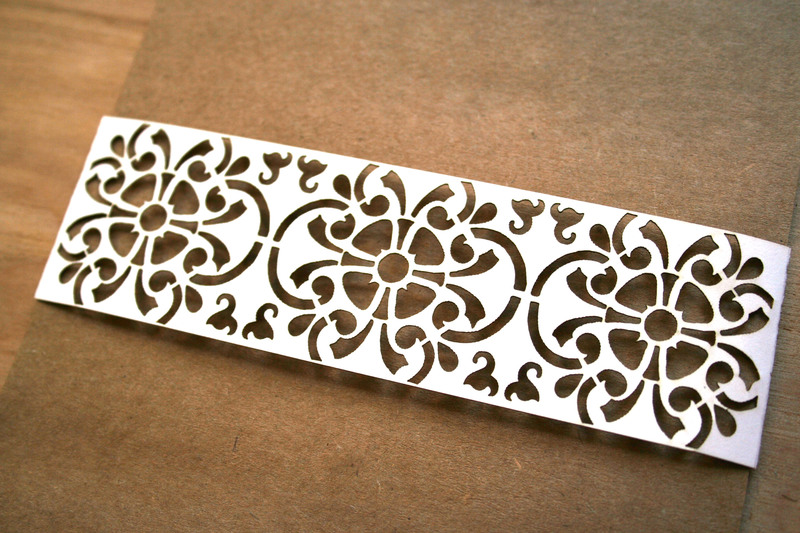 Therefore, based on the above information, sometimes laser cutting/engraving may cost even more than other fancy printing methods (like letterpress). We sincerely hope this information helps you understand our price points, and we encourage you to contact up today for a price quote! To be most helpful, if you have a specific budget, please let us know this in advance so that we can give you multiple options to meet your needs. The belly band in the picture below costs approximately $1.80 each…. depending on the paper stock you would like to use.